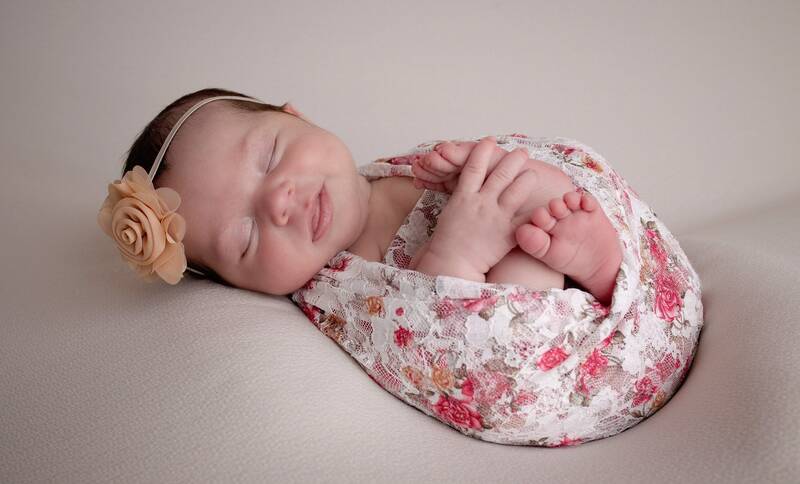 White Printed Floral Stretch Lace Swaddle Wrap AND/OR 2.5” Chiffon Flower Headband, for newborn photo shoots, Lil Miss Sweet Pea. Flowers on wrap are shades of pink and tan. 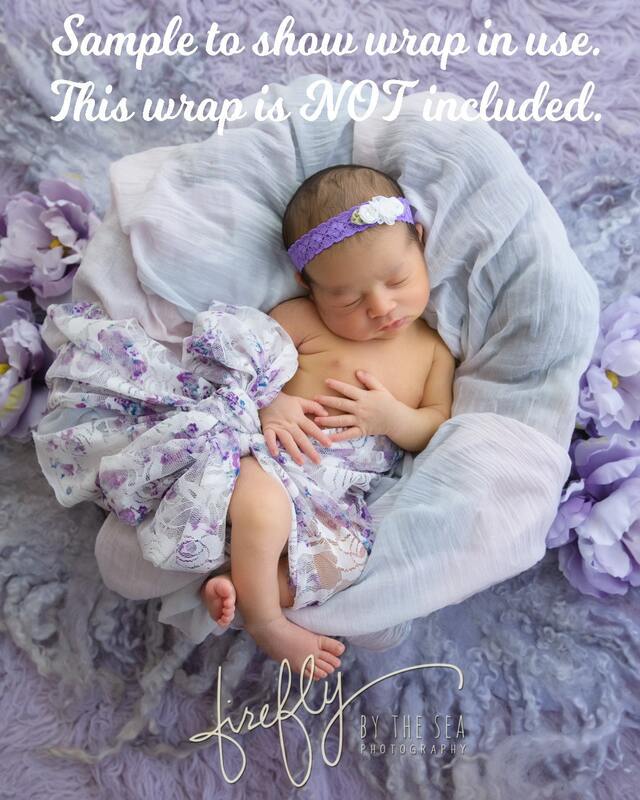 Photographers add filters on the photos so please note color could vary when you see actual swaddle.